The talented ladies of We Love To Illustrate have released their fun October designs and in addition to the cute Halloween card and fun printable bunting, there are a couple of fun Halloween printables for kids. These cute Halloween finger puppets that Jennifer made will be printed out immediately for Miss Ruby to play with! Since Halloween is probably her favorite holiday, she will think these printable finger puppets are the funnest idea ever. 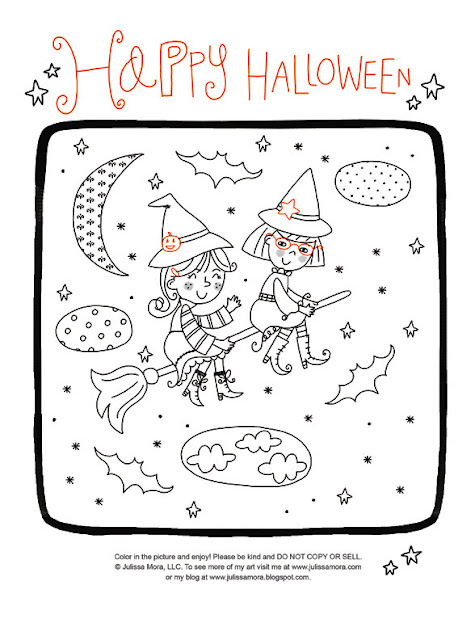 I will also be printing out a couple of copies of this cute Halloween coloring page that Julissa created. 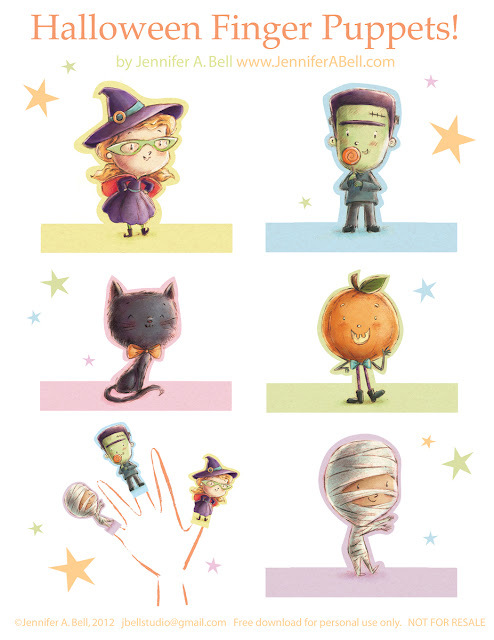 You can check out these fun kid friendly Halloween printables and the rest of the fun Halloween illustrations over at We Love To Illustrate.